If you’ve ever looked through a homeschooling curriculum catalog, you may have noticed that “unit studies” are a popular topic. Several curriculum providers, including Five in a Row , KONOS, and Amanda Bennett specialize in unit studies for all age groups. What is a unit study? 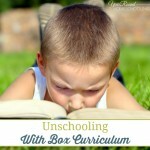 Should you use one in your homeschool lessons? Can you write your own unit study? Put simply, a unit study is any topic that you focus on for an extended period of time in your homeschool. 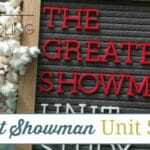 During the “unit”, you make an effort to incorporate every subject you can, so that you can build your entire lesson plan around that single thematic topic. Unit studies are almost exclusively used in public school for preschoolers. If you’ve ever visited a preschool or a day care, you’ve probably noticed that they have “Color Week”, “Shape Week” or “Fall Week” each year. During those weeks, all of the children’s activities are centered around those themes. Unit studies work in the exact same way. If unit studies are used in public school, why should you consider using them for your homeschooled students? There are probably several advantages to using unit studies, but these three are at the top of the list. Unit studies are flexible. 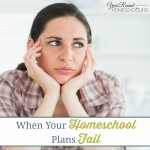 One of the major benefits of homeschooling is flexibility. You have the ability to decide what you will learn, the manner in which you will learn it and how quickly you’ll get it done. Unit studies are a perfect fit for this style of teaching. You can choose which resources you’ll include (and which you won’t), how much of the topic to cover and which subjects you want to include. Unit studies are adaptable for all ages. 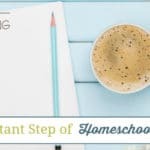 A lot of homeschooling families have more than one child, which can make lesson planning a challenge. If you have, say, one child in fourth grade, another in second, and a four-year-old doing preschool lessons, you may have to do a lot of running around to teach everyone. Using unit studies, though, you can cover several of the same subjects together using your primary theme. For example, if you’re studying the Middle Ages in Europe, you can choose a graded reader for each child’s level and spend time reading them together. Unit studies are easy to plan. If you buy a packaged unit study, you won’t have to do any planning at all, except deciding which day to get started. If you write your own unit study, you’ll find that the planning stage can be much shorter than the amount of time you’d spend scheduling traditional curriculum. Since you’ll be covering the same topic with all of your students, you won’t have so many topics to keep track of during the week. What if you decide you want to take on the challenge of writing your own unit study? How can you get started? It’s simple. Pick your topic and then find kids’ resources that are about that topic. It really is that simple. Choose a graded level book about the Middle Ages and have your child read it and write a book report (Reading/Language Arts). Cover science by discussing medieval metallurgy and how metal can be heated to form swords and armor. You could even work in math by reading a medieval-themed math book such as Sir Cumference and the First Round Table (A Math Adventure) . Unit studies are wonderful resources for homeschoolers, no matter what homeschooling method you choose. If you decide to try this style of teaching, start with a topic that your kids are interested in and see where your learning will take you! Unit studies are lots of fun and great for times when you need to put the book work away or when your kids want to learn about a specific time or topic. Follow our Pinterest board below to keep up with the unit studies we share over there! Follow Misty Leask’s board Homeschool: Unit Studies on Pinterest. We do too! They’re so flexible, which makes them perfect when you have kids in several grade levels.